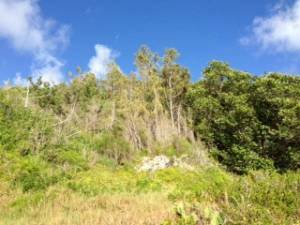 Large lot of land approximately 0.75 of an acre located on Sound View Road, Sandys. Zoning mixed Res 1, Woodland and Agricultural. Res 1 portion would allow opportunity for development of single home or condominiums.